Do you love dressing fancy? Do you appreciate good hair? If you answered yes to any of these questions, you've come to the right place for a makeover! 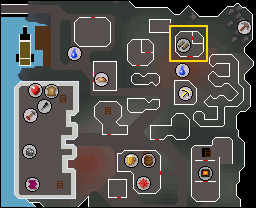 There are a variety of ways to change your looks in Runescape, and this guide deals with where and how to change them. Remember, there are no refunds. This means that once you have confirmed a selection, you will not be able to change your looks until you pay again. 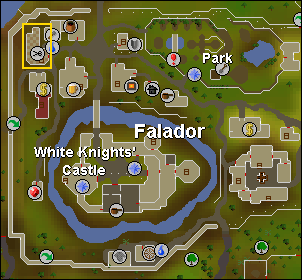 To change your body, visit the Makeover Mage, south west of Falador and north of the Crafting Guild. He will change your gender and your skin color for the mere sum of 3,000 coins! 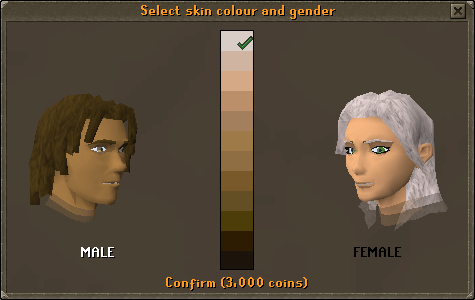 Please note that you will be able to change both your gender and skin color at once. 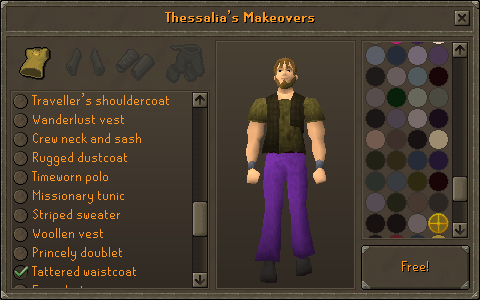 If you have completed the Recruitment Drive quest, you may have received a Makeover Voucher from Sir Tiffy Cashien. 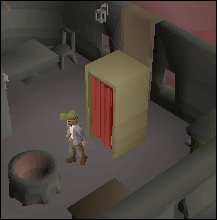 You can use this instead of the 3,000 coins to change your gender. 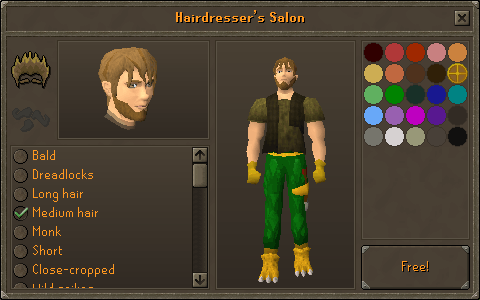 To change your hairstyle and hair color, visit the Hairdresser, located in his salon in the heart of Falador. For the price of 2,000 coins (both male and female), he will change your hair, and if male, your beard. Please note that you will be able to change both your hair and beard at the same time. You must have no headgear equipped when you talk to the Hairdresser. 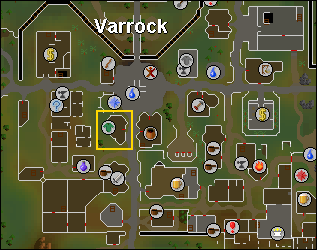 To change your clothes, visit Thessalia, located in her store in the heart of Varrock. For the price of 1,000 coins you will be able to change your top, arms and legs. Note that you will be able to change all these in one sitting. You must have nothing equipped when you talk to Thessalia. Note: This feature is members only. 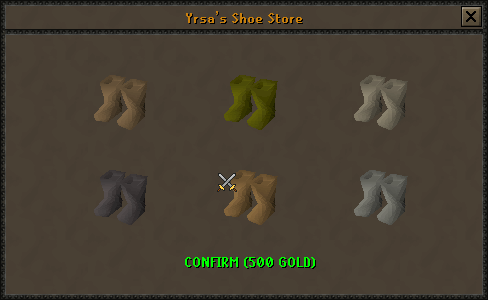 To change your shoes, visit Yrsa, located in Rellekka. She will change your shoes for 500 coins. 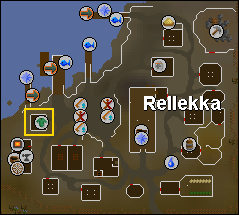 You must have finished The Fremmenik Trials to have access to this feature. To change your shoes you must have no boots equipped when you talk to her. 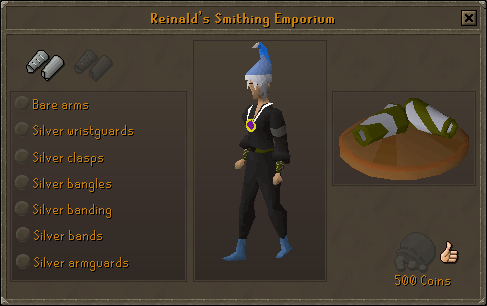 To change your armguards, visit Reinald in Keldagrim. His store is located in the north east corner of the city. He will change your armguards for 500 coins. 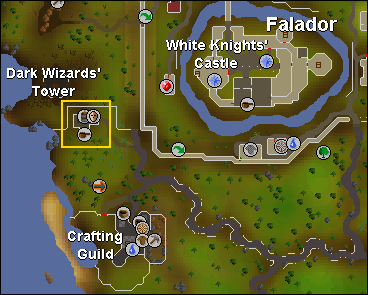 You must have started The Giant Dwarf to gain access to Keldagrim. You must have nothing equipped on your top, gloves, weapon and shield slot when you talk to Reinald.